Find out what type of reverse mortgage you qualify with our reverse mortgage calculator. See the amount of funds you qualify for, with this simple calculation tool. Just give us an idea of what you believe to be the appraised value of your home. We use this information to determine how much you can get regarding a reverse mortgage. Given the fact that a reverse mortgage must first pay off your existing mortgage “traditional mortgage ( that is if you have one of course), this reverse mortgage calculator will subtract the estimated amount you may owe from your estimated total amount of the funds you may receive if you qualify for this type of mortgage. This calculation will give you an estimation of how much money you will receive for doing whatever you want. 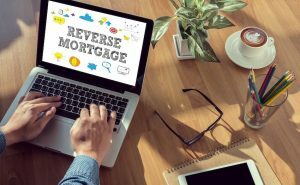 We talk about what you can do with a Reverse Mortgage in our other Reverse Mortgage Facts section here. But one really important detail to remember, is that you are still responsible for paying property any and all property taxes, homeowners insurance policies, and the cost to maintain your home to keep it’s value. How much money will I get if I qualify for a reverse mortgage? 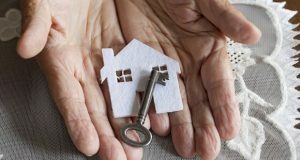 How much will I get if I am 62 and over and get my reverse mortgage? Every person applying for a reverse mortgage using this calculator will be different. A great example would be that the older you are, the more cash you may qualify on your loan. Other aspects like having more equity in your home, would also determine the amount you get. Even a lower current mortgage balance can qualify you for more money and enable you to have a leftover amount to spend on whatever you may like. Current Reverse Mortgage Facts also dictate what is the most money a person can borrow on a reverse mortgage. This also is dependent on age and current interest rates within the reverse mortgage industry. One detail that is current in regards to the reverse mortgage industry, is that no matter the age or the offered interest rate, that a single person cannot borrow more than the $636,150 limit on a federally insured reverse mortgage loan. How Does A Reverse Mortgage’s Interest Calculate Throughout Your Life? Having a fixed rate loan means your interest rate is locked at that amount at the time you close on your reverse mortgage loan. This interest rate calculation will not change throughout the life of your loan. If you opt or qualify for an adjustable rate reverse mortgage loan, then the interest rate may increase or decrease throughout the life of the reverse mortgage loan. One thing to note, is that you only accumulate interest on what you are borrowing. If you happen to roll your closing costs and other associated fees into your loan, then that money would be considered borrowed and would be calculated at the determined interest rate. 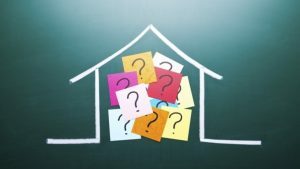 What Would Affects The Payout of My Reverse Mortgage? If you have an existing or “forward mortgage” then your reverse mortgage loan will pay that off first. As mentioned, you are still fully responsible for paying your real estate property taxes, any homeowners insurance, and emergency home maintenance costs. If your financial situation determines that you have a need to put money into an account for an “unexpected life event” to uphold these responsibilities, then that money will also be taken out of your available loan proceeds and will affect the final reverse mortgage calculation amount you are able to use how you see fit. Also another great option if you get approved for your reverse mortgage is that you may choose a reverse mortgage line of credit and the additional available funds can grow over time, and this may entitle you to draw more funds in the future. Thank you for using our qualification and calculation tool. A Reverse Your Mortgage Expert will call you shortly to go over Exactly What You Qualify for!